Rightly called the God’s Own Country, Kerala is the most beautiful Indian state known for its laidback culture and bounty of nature. Visit here and you will be showered with palm-fringed backwaters, authentic art and architecture, rejuvenating spas and striking wildlife. Cultures of Kerala are extremely vibrant which can be seen in various dance forms and music performed here. From Kathakali to Kolkali and from Bharat Natyam to Koodiyattam – exploring the dance forms of this state is a sheer pleasure. World renowned for its emerald backwaters, Alleppey houses a network of brackish canals, rivers and lakes, which together add to its spectacular beauty. 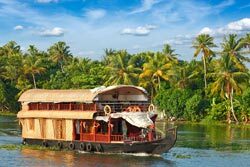 Visit here and you will witness “Kettuvallams” or traditional houseboats adorned beautifully with world class amenities. Alleppey Beach and Marari Beach remain must visit here to experience the priceless wonders of nature. Alleppey also houses numerous traditional temples such as Mannarasala Temple and Mullakkal Bhagavathy Temple which add to the beauty of this place. The cultural and economic hub of Kerala, Kochi charms your heart with vistas of Chinese fishing nets sprawling over pristine beaches. One can also see vast expanses of exotic spice cultivations here. Visit the Dutch palace of Kochi built by the Portuguese. It has a stunning architectural style which resembles a usual classic Kerala house. Marine Drive is also a great place to spend your evening hours amidst vibrant surroundings. Periyar National Park remains a must visit place in Thekkady. This is perhaps the best-protected reserve area where some abundant significant species can be spotted, including royal tigers and majestic elephants. Boating facilities are also available here apart from exciting jungle safaris. Adventure enthusiasts must also partake in trek along the Tiger Trail to spot stunning sights of wildlife, including elephants, sambhars, and tigers. Spending some time at the serene Periyar Lake also bestows seamless pleasure to nature lovers. The emerald gem of Kerala, Munnar is all about far stretched tea estates, unusual scenery, abundance of flora and fauna. Here you can spot one of the biggest tea-plantation areas of South India. Rose Garden remains a popular place here housing a variety of rare varieties of roses. Echo Point is also an ideal picnic spot where one can see union of three mountain streams. Nature enthusiasts must save some time to visit the popular Photo Point known for its charming serenity and tranquil environment. Adorned with rows of coconut trees, Kovalam’s gorgeousness is matchless. It has a perfect setting to adore the wonders of nature. 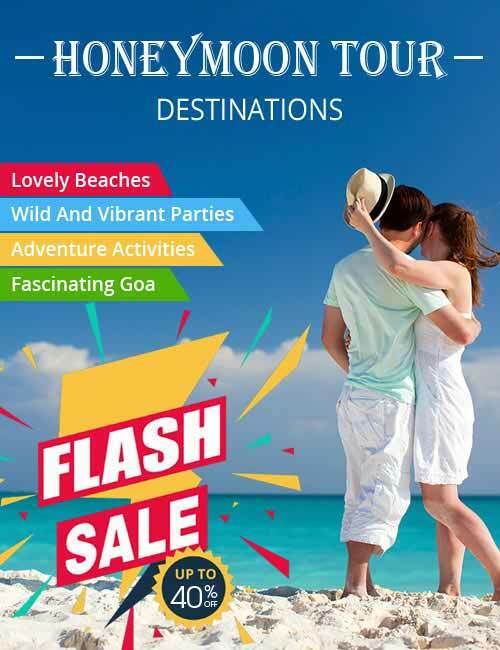 Visit the popular Lighthouse beach where numerous locals and travellers flock to rejuvenate their senses. Hawah Beach and Samundra beach also remain popular for their immaculate sands and perfect landscapes. Vellayani Lake of Kovalam remains an ideal spot for family vacationers to enjoy picnic. Apart from these, Valiyathura Pier, a 214 meter long pier, lures numerous cameramen with its picture perfect vistas. Local food of Kerala is full of local spices good enough to make anyone fall for gluttony. Kerala being a coastal state is known for abundance of spices. Rice remains the staple food of the state. Locals love having dishes like Puttu, dosas, idlis, sambhar and uttapam for breakfast. Main course include rice with dal and seasonable vegetables cooked in coconut and spices. Payasam, made of milk, coconut extract, sugar and dry fruits, remains a popular desert. Seafood of Kerala is also a must try which include Mussels, and other sea animals like sardines, mackerel, tuna, rays, etc. Shopping in Kerala is like a vibrant gala. You go out to the beautifully decked up street markets and get a chance to interact with happy locals. Kerala is known for Coir Products which are actually made using fibres extracted from the husk of coconut. Coconut Shell Handicrafts can also be seen selling in various local shops. Elephant Figurines also make great souvenirs. Another exotic memento often bought by travellers is the “Nilavilakku” (lamp on the floor) which is considered as auspicious. If you wish to wear traditional attire of the state, buy Kasavu Sari (Kerala Sari) from government emporiums. Spices of Kerala also remain must buy for those who understand the importance of spices in life. Thiruvananthapuram airport connects the state with all major Indian metropolises, including Delhi, Bangalore, Chennai and Mumbai. The airport also enjoys great connectivity with many of the gulf countries. Indian Railways is another option to visit this beautiful destination. Kerala boasts over 200 stations, making it easy for the travellers to access all the locations. Roads in Kerala are extremely beautiful, and road journeys can be enjoyed by taking state buses, cars and tourist taxis. Neighbouring states like Andhra Pradesh, Karnataka and Tamil Nadu are well linked with Kerala via road.